Take a journey back through time and follow the trails that the miners took in their quest for gold. The Otago Goldfields Heritage Trail traverses Otago following the old gold trails. The main highways are sealed but some old mining sites are on gravelled side roads. Watch for roadside signposting. The main highway link SH8, connects Dunedin with Central Otago and then with SH6 to Queenstown, two of the major population centres of Otago. The drive between these two centres takes four hours, but allow a full day or more to visit the fascinating places en route. Alternatively, allow a day for a round trip from Dunedin through Alexandra and back on SH 85, via the Pigroot. Most of the towns offer a choice of accommodation, from camping grounds to hotels and motels, although in the very small townships beds are limited. Food is available in most towns (but not petrol) and there are pubs and wayside tearooms along the trail. Larger centres boast fine restaurants serving local produce. 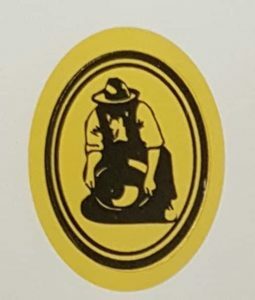 The Goldfields Heritage Trail is being progressively sign-posted, and is identified by the distinctive gold and black gold-panning miner logo on pioneer-red flag signs. Reassurance markers also show the trail direction, and yellow fingerposts point to specific sites. any rules specific to a site are highlighted at site entrances. Access to those sites on private land has been made possible with the generous agreement of landowners. Some of these sites (see map) are closed for the lambing season, usually between the end of August and November (check with your nearest Department of Conservation office). safety barriers are there to protect you.